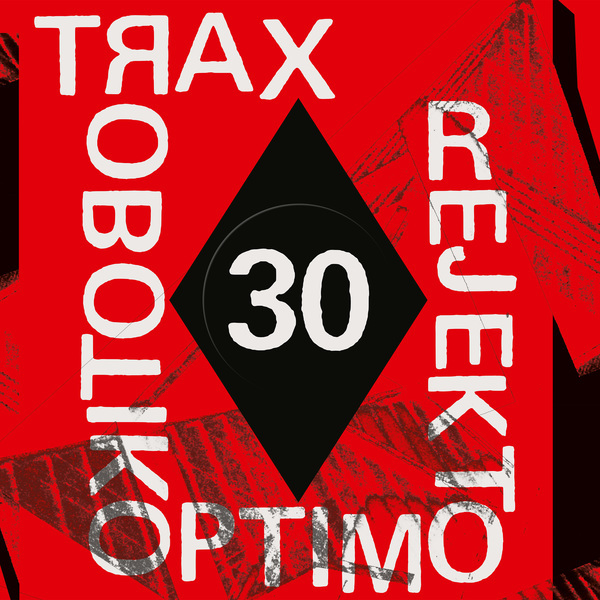 “Optimo Trax 30 celebrates a double 30 year anniversary; the original release date of “Rejekto” and 30 years since Twitch started dj’ing. In 1987, Twitch, who wasn’t known as Twitch yet, picked up a copy of “Rejekto” at Glasgow’s then numero uno import shop, 23rd Precinct. He was smitten. Shortly after that he got his first ever dj gig and played “Rejekto” in his first ever dj set. Nobody danced to it. He kept playing it and still nobody danced to it. Eventually he gave up playing it, but never stopped loving it. A few years ago he felt the time was right to try playing it again and this time people danced to it. In fact, people loved it and would ask about it and shriek in delight when they heard it. There is often a lot of false nostalgia talked about in dance music and how it “was better back in the day?”. Well, in some ways it was but in many it wasn’t and 30 years later it feels as if perhaps ears are more open, or perhaps “Rejekto” was just ahead of its time? From Germany, written and produced by Ra-Hen and Talla 2XLC, Robotiko Rejecto’s “Rejekto” was the inaugural release on the Techno Drome International label. With a powerful and seductive vocal sung in Romanian it has latterly been categorised as EBM / Techno but at the time didn’t really fit into any convenient genre. Twitch called it Electrobeat.